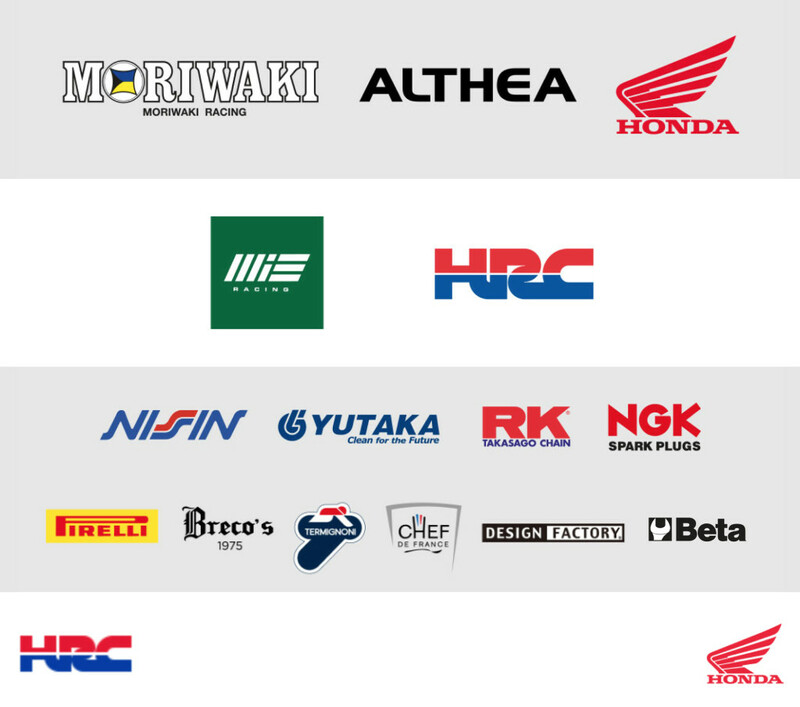 A constructive day of free practice for the Moriwaki Althea Honda Team in the searing Buriram heat. 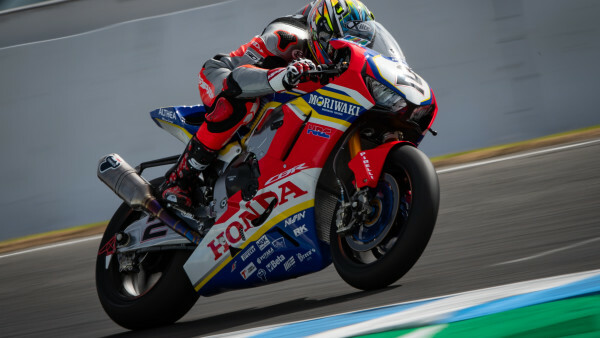 The fact that the heat would set riders and teams an additional challenge in Thailand was to be expected, and so it was as the Superbikes took to the Buriram track for the second round of the world championship. 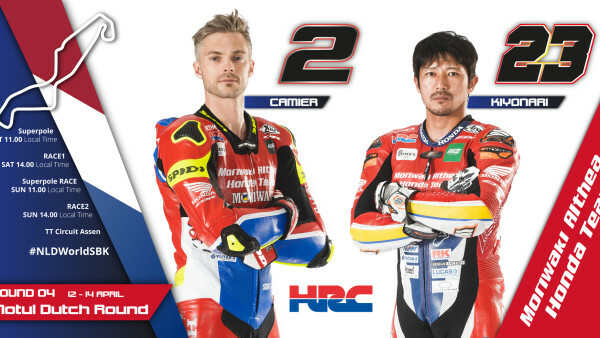 An air temperature of 36°C and a track temperature of 56°C characterised day one of action, which saw Leon Camier and Ryuichi Kiyonari place 9th and 16thplace respectively in the combined standings after the day’s two practice sessions. Effective set-up work allowed Leon to lower his time by around one second in the afternoon’s session and duck under the 1’34” barrier by the end of day one. Ryuichi was also able to improve on his times throughout the day, despite not being able to retain the morning’s 14th place finish. The final free practice will kick off at 11am local time tomorrow, before the Superpole and the 20-lap first race, which will get underway at 4pm local time. “Today was up and down, with some positives and some frustrating points. This morning I felt good on my bike and was able to find a decent rhythm right from the start of the session. I was looking forward to making a step forward in the afternoon and we did make some improvement, but not as much as we had aimed to. Tomorrow we’ll make some changes to the setup and will try and get closer both in terms of speed and race pace. Temperatures are really challenging but we are coping well enough and this is also positive”. DISCLOSURE PURSUANT TO ART. 13 D. LGS. 196/2003 Pursuant to art. 13 ref. Legislative Decree 196/2003 (hereinafter T. U. ), ("Code which regards the protection of personal data"), norm which regulates the protection of persons and other subjects with respect to the processing of personal data, treatment that must be based on principles of correctness, lawfulness and transparency and protection of privacy and rights, as regards the personal data of which the MANCAERGRIP Cultural Association "Amici della Moto" will come into possession, We wish to inform you as follows: PURPOSE OF DATA PROCESSING. The data processing is exclusively intended for the fulfilment of the institutional purposes promoted by the association itself within the limits of the provided statutory provisions and in compliance with the provisions of the Legislative Decree n. 196/2003. METHOD OF DATA PROCESSING. a. The data processing is carried out by means of the operations or set of operations indicated in the art. 4 paragraph 1 let a) T.U . : collection, recording, organization, storage, consultation, processing, modification, selection, extraction, comparison, use, interconnection, blocking, communication, cancellation and distribution of data. b. The operations can be carried out with or without the support of electronic or automated means. c. The data processing is carried out by the proprietor and / or by the persons in charge of the processing. DATA PROVISION. The provision of personal data is strictly necessary for the purposes of carrying out the activities referred to in point 1. DATA PROVISION REFUSAL Any refusal by the interested party to provide personal data in the case referred to in point 3 renders it impossible to carry out the activities referred to in point 1. DATA COMMUNICATION. Personal data will be known to the persons in charge of data processing and may be communicated for the purposes referred to in point 1 to external collaborators and, in general, to all those subjects whose communication proves necessary for the correct fulfilment of the purposes indicated in point 1. DATA DISTRIBUTION. Personal data is not subject to disclosure. TRANSFER OF DATA ABROAD. Personal data may be transferred to European Union countries and to third countries outside the European Union for the purposes referred to in point 1. RIGHTS OF THE INTERESTED PARTY. Article. 7 T.U. grants the interested party the execution of specific rights, including the right to obtain from the data collector confirmation of the existence or not of their personal data and its availability in an intelligible form; the interested party has the right to know the origin of the data, the purposes and methods of the data processing, the logic applied to the processing, the identification of data concerning the data collector and the subjects to whom the data may be communicated; the interested party also has the right to obtain the update, the integration of data, the cancellation, the transformation into anonymous form or blocking of data processed in violation of the law; the interested party has the right to object, for legitimate reasons, to the processing of data. PROPRIETOR OF THE DATA PROCESSING. The data controller is the MANCAERGRIP Cultural Association "Amici della Moto" based in Viale delle Industrie, 5 01033 -Civita Castellana (VT).